SCA leads to death in minutes if the person does not get help right away. Survival depends on people nearby calling 911, starting CPR¹, and using an AED² (if available) as soon as possible. 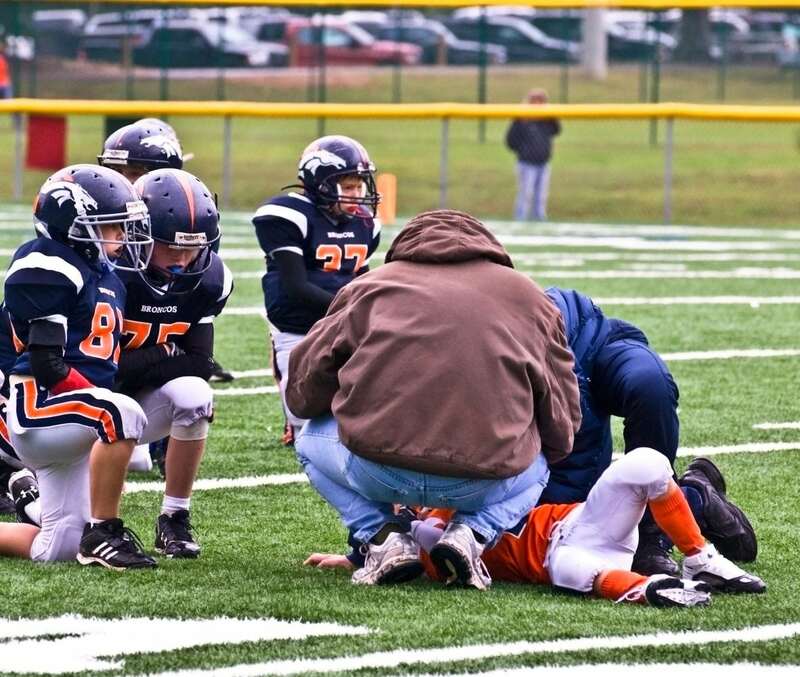 Sudden Cardiac Arrest (SCA) is the leading cause of death in the U.S., taking the lives of 356,000 people annually. But what most parents don’t know is that SCA is the #1 killer of student athletes and contributes to the #2 medical cause of death among youth under age 25. So why are we often led to believe that SCA in youth is “too rare” to worry about? The precise incidence of SCA in youth is presently unknown due to the lack of a mandatory and systematic national registry of SCA/SCD in youth. Parent Heart Watch strongly advocates for the establishment of such a registry to provide more accurate data that will motivate new research and strategies that will lead to SCA and SCD prevention. Various studies have been conducted on the incidence of SCA in youth, however, they have been based on different criteria and therefore produced different results. While there are many competing estimations on the number of sudden cardiac arrests annually, the American Heart Association reports that 9,500 youth are affected3 by what the National Heart, Lung and Blood Institute calls a critical public health issue. 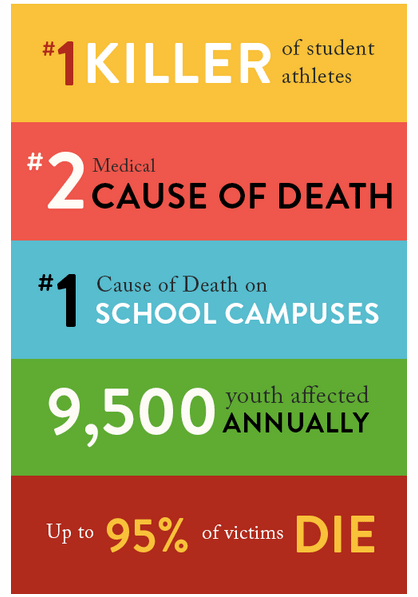 One student athlete dies every three days – it’s the leading cause of death on school campuses. The first symptom of SCA is often death, either because the warning signs of an underlying heart condition were not recognized or help was not administered within minutes of the event. In fact, up to 95% of SCA victims die because there was a delay in emergency response. The normal rhythm of the heart can only be restored with defibrillation, an electrical shock that is safely delivered to the chest by an automated external defibrillator (AED). Cardiopulmonary Resuscitation (CPR) can be a bridge to live until an AED can be administered. Of the leading causes of youth death (accidents, suicide, homicide, cancer and heart conditions), sudden cardiac arrest is the only one that can be prevented through primary and secondary prevention strategies. The question is, if we can prevent the tragedy of losing a child, why don’t we? ¹ CPR: Cardiopulmonary resuscitation is when you push hard and fast on the center of chest to make the heart pump; compressions may be given with or without rescue breaths. ² AED: Automated external defibrillator is a device that analyzes the heart and if it detects a problem may deliver a shock to restart the heart’s normal rhythm. 3 Given there is no mandatory or systematic registry for sudden cardiac arrest/death in youth and the stats reported annually greatly fluctuate PHW utilizes the stat reported in the Heart Disease & Stroke Statistics 2014 Update – A report from the American Heart Association.